If the portion of food at restaurants in Japan is too small and can’t satisfy your stomach, you should go to all you can eat buffet! It is also called Viking (baikingu) or tabehoudai in Japan. There are lot of them in big cities, especially, some regular restaurants serve lunch time all you can eat at reasonable price too. When you are in Japan, don’t miss these signs. 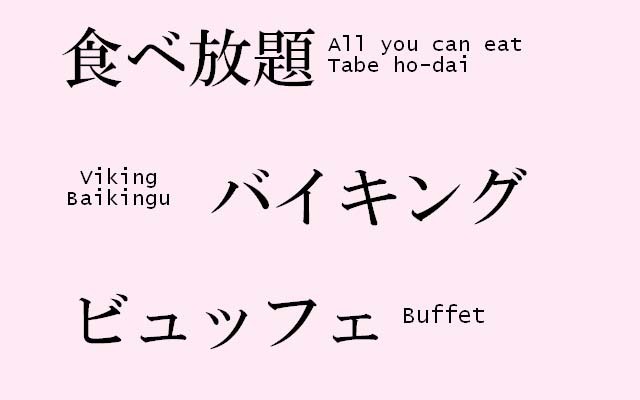 There are a few things you should know before you go to buffet in Japan. – Don’t get a large amount of unfamiliar food. It is rude to leave food on the plate. 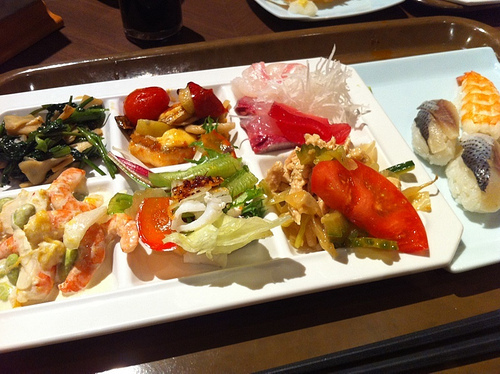 Because the Japanese have custom to eat alittle bit of everything, some Japanese style buffet give you a divided plate. If you go to that kind of buffet, keep it in your mind that it meant to be put small amount of various foods. I found lists of all you can eat buffet in Japan at bento.com and GOURNAVI . 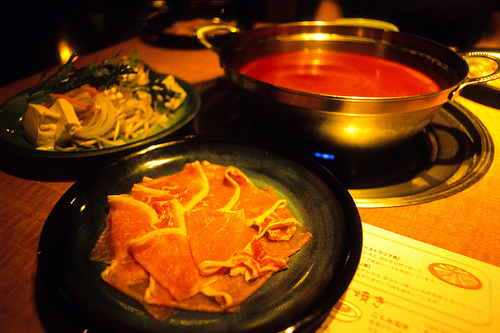 If you can read Japanese, hotpaper.jp is the best website to find buffet or any restaurants in Japan.